We can all do with a few bucks extra a month. Below I have compiled a list of the jobs that you would most likely be successful in doing! Hands down the quickest way to make a lot of money (well, without breaking the law). Lots of students have genuinely made $100s from this technique. It’s completely legal, risk-free, tax-free, and anyone can do it. It works by taking advantage of free bets regularly offered by betting sites through ‘matching’ them at a betting exchange. Matched betting eliminates the risk (you are betting both for and against a certain outcome). This leaves you being able to squeeze out the free bet, which can be as much as $200! Multiply this by how many betting sites there are and you can quite easily come away with a profit of a few hundred dollars. An increasingly popular way for students to make money is to fill out online surveys in their spare time. Research companies are always recruiting new members to answer surveys and test new products. For a few minutes of form filling, you can make a couple of quid which is paid as cash or rewards. You can bag up to £3 ($5) for some surveys! A few good ones to try are Toluna, Vivatic, OnePoll, MySurvey, SurveyBods, Valued Opinions, The Opinion Panel, YouGov, PopulusLive, Global Test Market, Pinecone, IPSOS, Hiving, PanelBase, MintVine, Opinion Outpost, Harris Poll, Mind Mover, New Vista, iPoll, Paid ViewPoint . Also sign up for Swagbucks which rewards you for surveys as well as simply surfing the web, watching videos and playing games. Interested in earning cash for doing what you already do online? This has to be one of the easiest methods of making money online without really any effort or change in your behavior. This innovative idea by Qmee.com rewards you for searching in Google, Bing or Yahoo. You just install a simple add-on to your browser and when you conduct a search there may be a few sponsored results alongside your normal search. Each Qmee result has a cash reward attached – if you are interested in it simply click on it and collect your reward. The best thing is there is no minimum to cash out! You also have the option to donate it to charity. The historically hard-to-break world of investing in stock markets and currencies has been cracked wide open. Today there is no need to be a fat cat or fund the yachts of Wolf of Wall Street style stock brokers. You can do it all yourself with the help of online market trading platforms. The two biggest platforms out there today are Plus500 and eToro.com. Both offer free practice accounts and Plus500 also give you a free £20 (without depositing, terms apply) for their CFD service which is worth taking up. Overall I prefer eToro with over 4.5 million users worldwide. It was recently featured in the BBC 2 documentary “Traders: Millions by the Minute” and the Financial Times. One of the best things on eToro is the CopyTrader feature. This lets you literally see, follow and copy the investments of other top performing traders. Disclaimer: CFD trading can be volatile and you can lose your entire capital, so don’t throw your life savings into it! Trading CFDs may not be suitable for you. Please ensure you fully understand the risks involved. Interested in generating passive income? You need a website. It’s THE way to make money while you sleep. Starting a website takes less than 20 minutes, costs hardly anything and can be done by an 82-year-old. It only takes a bit of plugging on social media to get your first visitors, and there are plenty of ways to monetize your site. Save the Student is just one example of a very successful website, started at a University by Owen Burek in his first year, which has since grown into a full-time and sizable enterprise. 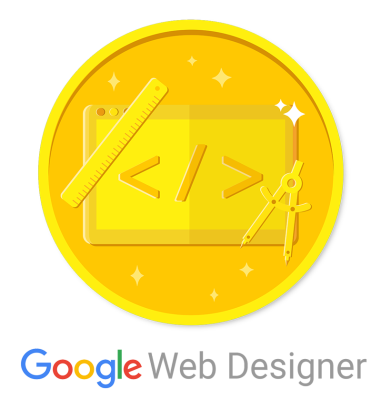 Well, it seems like you’re pretty nifty with a web browser, so perhaps it’s time to turn pro and browse websites as a paid and fun job! Introducing UserTesting.com – a new platform that pays everyday people to review all kinds of websites. Each review takes around 20 minutes and bags you $10 via Paypal. To keep demand high across generations, Disney Studios carefully restrict the supply of some home release classics. They are locked away in the ‘vault’ for 8-10 years before being released for a short unspecified time. Buy them in this window at normal retail price and you can turn a nice profit when they go on sale for another decade or so. For example, in 2011 you could buy Beauty and the Beast on Blu-ray 3D for just £24.99. In just a couple of years, it was on Amazon for a staggering £74.99! Importantly, not all Disney releases are subject to the vault and only the true classics will maintain such demand. Right now there are just 2 titles out of the vault which I would recommend snapping up. They are Bambi Diamond Edition Blu-ray and The Lion King Diamond Edition Blu-ray. Similar to making money from online surveys, GPT sites reward you in cash and vouchers for completing various offers or activities online. The most popular sites today are Toluna, Swagbucks, and InboxPounds. Got a bicycle, motorbike or car? What about a Smartphone? That’s all you need to make some extra money working as a delivery driver whenever you’ve got some spare time. Sign up to delivery specialist companies like Deliveroo who are always on the hunt for new riders. They allow you total flexibility to work when you want, delivering food from restaurants to the customers’ door. You can make up to $16 an hour. Double-up your opportunities by directly contacting local takeaways and bigger chains like Dominos to see if they have any delivery jobs going. If students are good at anything, it’s researching and writing. With the Amazon Kindle store, anyone can publish an eBook and make money. And the Kindle app is now available on almost any device (laptops, iPads, smartphones and yes, Kindles) so your global market is huge! List your book for $1.49 – $6.99 and you earn 70% of the sale. Considering Amazon is the ultimate selling machine (and remember people are looking to spend), that is a fantastic deal. The key to success with eBooks is to create value, and write non-fiction. Simply bundling information you have researched and compiled on a common problem (eg. ‘secrets’ to finding a job) and then presenting it in an easy to digest format (an eBook) justifies someone spending a few quid on it. Another big tip is to have a great cover designed so it stands out, and once your book is live on the Kindle store it’s really important to get some reviews so it shows up higher in results. Encourage readers to leave an honest review at the end of your book. The best thing about this lucrative idea is that once you’ve invested the time (say 20 hours), you’ll earn a passive income for years to come! If you’ve got a good presence on social media or perhaps you even have a blog or website, you can start bringing in money immediately by promoting all sorts of companies, products, services and offers online. Sign up to an affiliate network such as Affiliate Window, check their offers blog or browse the merchant listings to find something you think your friends would be interested in, grab your affiliate link and share it. If someone buys (can be within up to 90 days) using your link you’ll make a nice commission. See how much you can get for your old mobile phone using our in-house mobile phone price comparison tool! Maybe ask your parents if they have any lying around too. You can get some good money and help the environment by recycling mobile phones with certain companies listed on the comparison tool. But be aware: you won’t always get the quoted cash since it depends on ‘condition’. We recommend Mobile Cash Mate for the fairest and highest payouts in most cases. The Clickworker.com concept is based on ‘internet crowd-sourcing’ where businesses advertise specific, scalable tasks they need completing quickly. And for us, it’s an easy way to make fast cash from our couch. There are a variety of tasks, but most commonly they involve mindless data entry, web research or form filling. You are rewarded and paid in cash (via Paypal) for the work you do, and you can choose what and when you work. Give it a go. [If you’re US based, also try Amazon’s ‘Mechanical Turk‘]. Why? Simply because few students reach the personal tax-free income allowance each year but are put on an emergency basis tax-code by their employers meaning tax is being paid when it shouldn’t be. Use our student tax-back service to help you reclaim any tax you should not have paid. Just enter your details in the calculator here to work out what you may be owed. Otherwise for more information read our guide on claiming tax back here. This is not only a way to make money but also to save money as a student. If you look at it in a different way then you are making money with every purchase you would have made anyway, whether it be 10% or 0.5% cashback. There are a number of cashback sites out there which pay you the commission they otherwise would have earned. We recommend signing up with Top Cashback, Quidco.com & Swagbucks which are free and offer the best selection of retailers and exclusives. A part-time job is the obvious first choice, opted for by most students looking to supplement their student loan. It provides a pretty steady flow of income and can enable you to gain valuable work experience. However, depending on where you live, jobs are not always easy to find. Check local classifieds, our student job search, student job websites and your university careers service for vacancies. It’s also worth signing up with the Graduate Recruitment Bureau, a free service which will match you with both part-time jobs or graduate opportunities. Fiverr is now the world’s largest marketplace for people to make money selling small services (known as ‘gigs’). What you offer could be absolutely anything, from writing and translating, social media posting, playing pranks and teaching to creating music, voiceovers and short video clips for people all around the world! The default price is $5 (hence Fiverr..), but you can attach extra services to gigs for more money. Whilst it might not seem like much, it can quickly add up and there are plenty of examples of people making a really good living from the site. The key is to get a system in place which minimizes the time spent on each gig. But there is another way to profit even more from Fiverr for potentially far less work. How? By simply reselling gigs elsewhere. For example, find a decent logo designer then reply to jobs on UpWork or even local classifieds. A $5 spend can easily become $50+, and it’s repeatable! If you’re not interested in selling at all there’s SO much good stuff you can get done for yourself. Have a browse and get inspired! If you love music, make it your business by reviewing unsigned bands and artists online for cash with Slicethepie. It can take a while to build up your reputation but some users of the site have said that they earn $60 a month. This may not sound like much, but if it’s something you enjoy then it shouldn’t be hard work and is another thing for your CV. The money you earn will be in $US but anyone can sign up and review. One great way to make money is to buy other students’ textbooks at the end of the year, and then sell them just after freshers’ week – when the new intake of students know that they need them! You can either advertise on campus or list them online very easily on Amazon.co.uk Marketplace (just bear in mind they take a commission on books sold). A domain name is just a website address (eg. ‘savethestudent.org’ or ‘mysite.co.uk’) and there are lots of extensions (.com, .net, .co.uk etc). They cost as little as $1.99 to register with 123 reg.co.uk or GoDaddy.com yet premium domain names can fetch £1,000s if not millions when sold on. In 2007 VacationRentals.com went for a cool $35m! Now you’re probably not going to come across anything like that, but you can still turn a quick profit with a bit of searching. The trick is to find available domain names which have some commercial value, snap them up and then list them for sale on a site like Sedo.com. Today becoming a mystery shopper is easier than you think and you can get rewarded handsomely. We’ve recently come across a really fun smartphone app called Roamler that pays you in cash for completing various tasks in your local area. So definitely check that out first! More traditionally, there are plenty of agencies that pay you to visit all sorts of shops to feedback on how they are performing. Do you fancy yourself as a budding young actor or just that person that walks past in the background shot of an episode of Eastenders? It could be you if you apply to be an extra. The pay isn’t bad either – $60-80 a day on average, and you hardly have to do anything! You can apply at Be On Screen for a number of opportunities or 2020 casting is another agency (just know they take a cut from your earnings). If you are looking to make a very quick buck, then selling your old bits and bobs that are cluttering up your room is a good idea. The best thing about it is that you can rip all the songs and films onto your laptop or external hard drive before selling them. This means that you are only really selling the plastic and artwork! You can earn anything from $0.50 to $20 per item, and the earnings can really add up if you have a large collection. Whilst you’re at it, see if your parents have any ‘clutter’ they’d be happy to see the back of. You can also sell almost anything for free on Amazon Marketplace or Preloved and sites like MusicMagpie will pay you instantly for sending in unwanted items. Become a tutor to local GCSE or A-level students. There are now a few online tutor sites too, so you can go also global without too much hassle. You may feel as if you aren’t qualified to be a tutor, but seeing as you are at university you will most likely have the qualifications to tutor for GCSE or even A-Level. Some parents may feel that their child will react better to a younger tutor, and it can be the great experience, so why not give it a go? You can advertise on SchoolsTrader or sign up with UK Tutors. You can expect to earn around £10 an hour. However, make sure you don’t have to do too much tutoring around your exams! If you think you’ve got a good shot and a little creativity, try uploading your photographs for free to stock websites. A good starting point is Fotolia or stock photo. Make more money selling photo subjects that people are demanding, and there’s a great resource to find this out here. It might be a good idea to test them out in print first yourself. It’s a classic money-maker, and for good reason. You get paid (well) to watch TV and not very much else! Be warned that you will need a CRB (Criminal Records Bureau) check to look after small children, even though some parents may not ask for one. If you are wondering what to charge, look at local Gumtree ads, but you can expect to be paid over $5 even if you aren’t trained in child care. Aside from advertising yourself, you might want to try creating a profile on Findababysitter.com. It really is easy money (unless you get stuck with the child from hell!). If you have an interesting story then you could try selling it to the papers. It could be anything from sleeping with a professional footballer to getting caught in a clothes horse! One of the Save the Student team was unfortunate enough to have a pigeon fly through and smash their window at university and sold the story to The Sun for a tidy $50. You could also film your mates at all times and send it into You’ve Been Framed to net yourself $250 and a few seconds of fame. According to recent stats, we now watch more videos on YouTube than searches on Google. And with the recently introduced YouTube Partner Program you can now profit from making and uploading videos. You will receive a percentage of the advertising revenue collected per 1,000 views. Depending on how successful you are (virality, subscriber base, and topic) you can make a lot of money, and there are plenty of stories every week of more and more YouTubers making it their career. There are many other creative ways to make money as a student, such as our 50 business ideas. With any luck, you’ll be on the road to making millions! Please feel free to share your own ideas by leaving a comment below.